Stories | Stories from an adoptee | Personal experiences from a Chinese European Adoptee. I interviewed famous adoptees like Samantha Futerman and Jenna Ushkowitz from Kindred foundation. My stories have been published by so many different media. Adoption Today, China Children International, Im adopted, kindred foundation, No hands but ours and Jean Mac Leod Adoption toolbox, thank you for your support! I was also inspired by other famous adoptees and adoption parents. I found out that their opinions and stories were just like mine. We don’t difference that much, we share the same beginning. Their quotes and ideas gave me comforth and new insights. I shared many quotes of them on my facebook. I found out that there are so many wonderful adoption organisation worldwide. Organisation like I’m adopted, Adoption Today, China children international, Friends of families with Childrem from China New England, Touching Home in China, Intercountry adoptee voices, and United Adoptees International Foundation are great. It makes me happy that there is so much good in the world. Keep going on with your work. I found that adoption is worldwide and I am not alone who is adopted. I am part of some wonderful adoption groups now on facebook. It is nice to be part of a worldwide group online who share the same thoughts and ideas. I Got to learn other adoption bloggers, guess Im not the only one who wants to create more awareness! For example: Jean Mac Leod Adoption toolbox, No Bohns about it or diary of not so angry adoptee are wonderful blogs. I also realised that I really love writing, painting and photographing. These hobbys are a passion of mine! I hope one day I will publish my stories, drawings and poems. I am also inspired by the adoption stories from other adoptees who I interviewed. For example Katie Holz, Kate Williams, Charlotte Cotter from China Children International and Jean Macleod. Thank you all for opening your heart to me. I also reveived wonderful comments on my stories and those reactions were heartwarming. Lovely to notice that my stories really touch people. It feels like a gift that my stories touch people. I Got so much support online! Thank you guys for sharing, liking, tweeting and mailing my stories. So many people visited my blog, that is wonderful! More than 16,631 people visited my blog from all over the world! I got some incredibly results of people who followed me: 720 people followed me on facebook and 62 followed me on wordpress. More than 250 people subscribed for my mailing list and I received 10 beautiful personal mails from readers. Furhermore I got to meet other adoptees in real life which brought me to new adoption projects. For example Project Adopted with Ton Sondag. But most at all I could share my thoughts and insights with the people I love most; my family. Thank you mom and dad for your feedback on my blog. Thank you parents for reading every item and talking about adoption. My brothers, thank you for liking my stories, reading them and commenting them. Those letters I wrote for you are my gifts for you. My sister in law, thank you for your liking and sharing othet stories with me. Finally my love of my life, thank you for being there for me, always. You enrich my life and I am happy to be a part of our family. I guess I wrote so many stories that my blog became a memoir. Let these memoirs be for my biological mother. She was the reason for writing these stories afterall. I wrote my first adoption letter for her when I was five. now Ill write my last adoption blog for her, twenty years later. Dear you if I will never find you, let this be the remembrance that I will never forget you. This is my gift for you. You were always there with me. You are my reflection in the mirror, my wish upon a star, my dream of my dreams and my hope. Ill never forget you ….xiè xiè! Someone once said that there are two gifts we should give our children; one is roots and the other one is wings. I think I received them, but from two different parents. My (adoption) parents gave me wings, they showed me what I could become. They really taught me anything, they gave me the gift of wisdom and kindness. 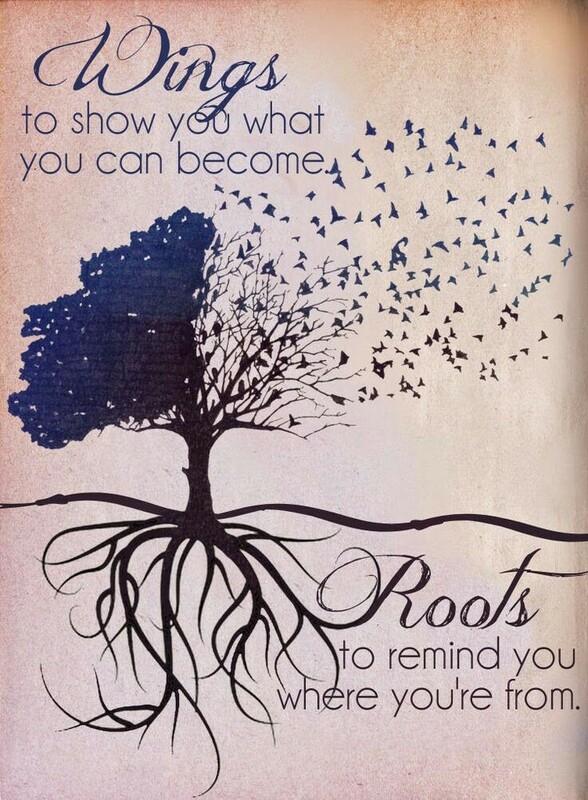 While my (birth) parents gave me roots to remind me where I come from. They gave me the gift of beauty and self consciousness. Both of these gifts make me whole and I’m very grateful for this. The most important news is about the Olympic Games today. Everybody in the world is watching them. I really like watching these game. But there ‘s always a returning question people ask me during the Olympic Games. For which country am I for? I find it very hard to answer this question. It even really hurts a bit. I was born in China and I grew up in Holland, I didn’t chose for this life. The question hurts because it makes me feel like I have to defend the country I am for. If I say I only support China, they will say: of course we understand that because you were born there. On the other way if I say Holland, then I feel I am betraying China. I am still a little bit confused about this issue. I don’t want to choose for which country I support. Why chosing? Why do some people want you to choose? I understand them, because they think they will get to know you. But honestly they really don’t. This questions sums the whole adoption situation for me. Don’t choose a party. Don’t choose wether you are Chinese or European, you can be both!. Chose to be a person who is kind, honest and patient. And never choose because someone ask you. And if they ask you again, tell them that you choose the the one that is the best athlete. Sometimes you will see a beautiful quote. I found a wonderful quote from Erasmus about how bodies can be separated but the minds aren’t. I would like to share this quote with you. It makes me think about someone I know. I don’t see people as often as I want, but I do think of them. As an adoptee this has been a very important lesson for me. Not seeing someone doesn’t mean that someone’s not there for you anymore. People can be in your life in many different ways. But you can also miss people in many different ways, which doesn’t mean they aren’t there for you or haven’t been for you. Last weekend I did something very special. I was dressed up with traditional clothes from my village where I grew up. They wore those kind of clothes like 50 years ago and now I wore them too for the very first time. It felt pretty weird to wear them. First I felt resistance, I had the feeling that I don’t have the right to wear them. I was not born where I grew up. Secondly I was afraid that I looked stupid or little bit dumn. Maybe I was afraid that I looked ugly in them. Still I ignored my anxieties and wore them. My feeling to understand my family’s culture by dressing up like them was bigger than my anxieties. So here I am, wearing the traditional clothes.When I wore them I felt a little bit strange,but I didn’t feel dumn or ugly. I felt actually really happy. I even liked wearing the clothes. It felt like I understood why my grandmother didn’t want to wear it everyday (the clothes are very heavy). I felt the weight of the dresses and understood why these clothes were nice in the winter (they were very warm). I also understood that it took a lot of effort wearing them (dressing up took more than an hour). All these aspects gave me the feeling that I understood them even more. It make me feel special, it even gave me a good feeling that I had the privilege to wear them. My mother saw me in these clothes too and she really liked it. I even looked good in it! 🙂 I was proud of wearing the traditional clothes of my family’s history, guess I felt even more closer with my family’s history than before. Please take a look if you are interested! It’s summer and six years ago I went back to China. I visited with my parents my birthplace Chengdu in Sichuan. We visited the panda’s, the orphanage and Leshan (The big Buddha). It was a wonderful journey, a journey to the past. Deep inside I wished to meet or see my birth parents. Unfortunately we didn’t find my birth parents. Fact is that I am a foundling and I spend my days in an orphanage that doesn’t exist anymore. The feeling of searching my birth parents has been reduced . It doesn’t mean I don’t think about them. Guess deep in my heart there is still a part of me who wants finding them. Sometimes I find it hard when someone else finds their birth parents, but I must keep remembering that eveyrbody has their own story. This is mine and I have my own path to follow. Maybe I will never find them but I do love fantasysing about my birth parents.. I made drawings about my mother. But now I did something new I would like to share with you. I created them with the computer game Sims 4! I thought, why not? Never done that and I thought it would be very fun. Therefore I made my biological parents with only my imagination. I have been thinking about which characteristics I have from my biological mother or father. I know from myself that I’m not a Han chinese, I belong to one of the 56 minorities who live in China. Therefore I created them from my own imagination and my own self portrait. You can see them in the pictures below.I guess I have my freckles from my mother. Just like the big brown almond eyes. My lips are also from my mother. This tells my feeling. Sometimes I can look a little bit sad and I guess this tragic look comes also from my mother, guess we share the same loss and grief. I have my nose from my father, wide and small. The small eyebrows are also from my biological father, just like my small ears. Most people tell me that I can look very serious and I guess my father was also a very serious person. I also have a dark skin and I guess I got this from both of my parents. Just like my black straight hair and big cheekbones. I think I created them very well and made them just like they are in my head. I reallly liked creating them because it made me feel closer to them. Just like Einstein one said: logic will take you from A to B, but imagination will take you everywhere! One of my favourite inspiring organisation in the world is is Ted. Ted X shares stories from all over the world. Their mission is to spread ideas worlwide. TED is a global community, welcoming people from every discipline and culture who seek a deeper understanding of the world. We believe passionately in the power of ideas to change attitudes, lives and, ultimately, the world. On TED.com, we’re building a clearinghouse of free knowledge from the world’s most inspired thinkers — and a community of curious souls to engage with ideas and each other, both online and at TED and TEDx events around the world, all year long. People tell many different stories at Ted in order to inspire another. There are also people who talk about adoption on Ted X. I would like to share three different kind of adoption stories from Ted. The first story is about the myths of gay adoption. The second story is about an american woman who was adopted too and explains how closed adoption in america works. The last story is about a woman who has adopted children from another world. I love to share these with you because they inspired me and maybe you too? My two mums by Lynne Elvins: Lynne and her partner Emma, became the first gay couple to be approved for adoption in Bristol, UK, in 2004. Lynne takes us on the incredibly moving and thought-provoking journey her family embarked on with their adopted son Steven. The secret identity of an Adopted child by Catherine Robertson: Catharine Robertson is a web strategist, performer, teacher, and storyteller. She was adopted shortly after birth. In 2013, after 25 years of searching, and despite laws designed to prevent adoptees from knowing their original identity, Catharine found her birth family. An adoption story by Jillian Lauren: Jillian Lauren discusses her family’s journey through the adoption of her son and her unique perspective as both an adoptive mother and adopted child. Though adoption has come a long way through the years, there is still a long way to go with many children still in need of a home. Join her on her reflections on family, identity, and most importantly, love. I hope you enjoyed the stories! There are many wonderful adoption blogs in the world. I would like to share a very special one. The name of this blog website is called ”No Hands But Ours”. It is a blog for parents who have adopted a child from China with special needs. The website offers you a lot of information about adopting a child with special needs. There are many resources avaible like adoption books, articles, blogs and other recourses. The website has I think a wonderful name and the name came from an amazing poem. No Hands But Ours began as a sliver of a dream in 2004, when Stefanie, now a mother of 13 (9 from China), was in the process of pursuing her first adoption from China. Stefanie struggled to find adequate resources for researching special needs, and was frustrated by the lack of real-life information from other parents of special needs children. In late 2008 – and three SN adoptions later – her dream of a site to encourage, equip and support families adopting special needs children from China was finally realized. The inspiration for the name of the site came from the poem below. As Saint Theresa so eloquently reminds us, we are the hands and feet of Christ. It is our prayer that He would allow us to be His instrument to bless those on the journey to adopt from China as well as those children who will be coming home. Here you can read the wonderful poem. Hello everybody, I’m back again 🙂 My holiday is over and today it’s monday so I’m starting to work on my blog again. Yesterday evening I went to a Chinese restaurant to celebrate the end of my vacation with my boyfriend. Only we didn’t just go to a take away chinese restaurant but to a real authentic Chinese restaurant from Sichuan (the providence where I come from). I love going to this restaurant because of many reasons. First the people serve real authentic Chinese dishes. Second the waitresses talk chinese to me which I really like, because they are not confused whether I’m Indian/Vietnamese or a Chinese person. Thirdly there are only Chinese people visiting this restaurant, so I am not the only chinese there. This makes me feel good, because I have the feeling that I belong there. Unfortunately I can’t make the recipes on my own. Maybe I should take a course. We ate some lovely dished. First we ate some wonderful dumplings. After that gong bao with white rice. The food is so lovely and very spicy! I love enjoying this restaurant because the flavours are real authentic and hot, just like in China. For example; the chinese peppers tingle on your lips and it feels like you have been kissed by the red chinese peppers. Furthermore the smell of the food is so good that you wish to eat immediately. For instant these dumplings I photographed at the end of this post smelled and tasted wonderful. I photographed these dumplings with my new mobile phone thought it was a very nice picture. I like to make pictures and I am very proud of this one. Therefore I send this picture to a photography competition from LG.